This assessment concerns itself with the totality of your health and lifestyle, and not solely a symptomatic evaluation of your chief complaint, in order to formulate the most holistic treatment plan possible. You will be asked to fill in an intake form prior to the appointment and please note that I usually carry out a physical examination on the Initial Consultation, time permitting. Follow-up can be made in person, by telephone or Skype. They usually last up to one hour depending on the issues and treatment strategy developed with you. The first follow-up visit will usually take place 2-4 weeks after the Initial Consultation and thereafter most likely every 4-8 weeks, again depending on the issue(s). Follow-up consultations will be used to assess progress of or make changes to the treatment plan. A physical examination may also be carried out at subsequent consultations. Treatment Plans will be discussed and developed alongside you to take account of your lifestyle, personal preferences and timetables as well as the health issues or goals involved. Treatment strategies may involve any combination of herbal remedies, dietary changes and supplementation, lifestyle advice and psycho-emotional/spiritual support, as well as recommendations to see other specialists (such as GP, osteopaths, acupuncturists, etc). They may also include referrals for laboratory tests. The foundation of the herbal treatment is clinical phytotherapy, which is the use of medicinal plants. Clinical phytotherapy best exemplifies the Hippocratic principle of primum no nocere (first, do no harm). Indeed, medicinal plants, when used by a trained practitioner, work with the body rather than against it by gently modulating physiological function and improving the capacity of organs to make, excrete or respond to regulating factors. The polychemical and synergistic nature of medicinal plants allows for the entire system to be treated rather than a single part of the body or rather than “attacking” a single pathogen. The premise behind natural medicine is to treat the person and not the condition. The role of other therapies such as osteopathy, acupuncture, psycho-emotional and psycho-spiritual therapies, homeopathy, nutrition, exercise, massage and lifestyle are valuable aspects of the treatment approaches and may be incorporated into a treatment plan. Any other telephone or email exchanges for individual questions, that are not follow-up consultations will be charged prorata on the basis of £60/hour if more than 10 minutes. General queries prior to booking an Initial consultation or quick general questions (under 10 minutes) following a consultation on such things as methods, practicalities, dosage etc will be free of charge. Existing patients will continue to be charged current rates until 1 January 2019. My Consultation fees for one-to-one Systemic (Family) Constellation sessions are £60/hour. I recommend a 2 hour session especially if it is the first time you do a session with me. The price of any herbal medicines, laboratory tests or supplements is separate from Consultation fees. 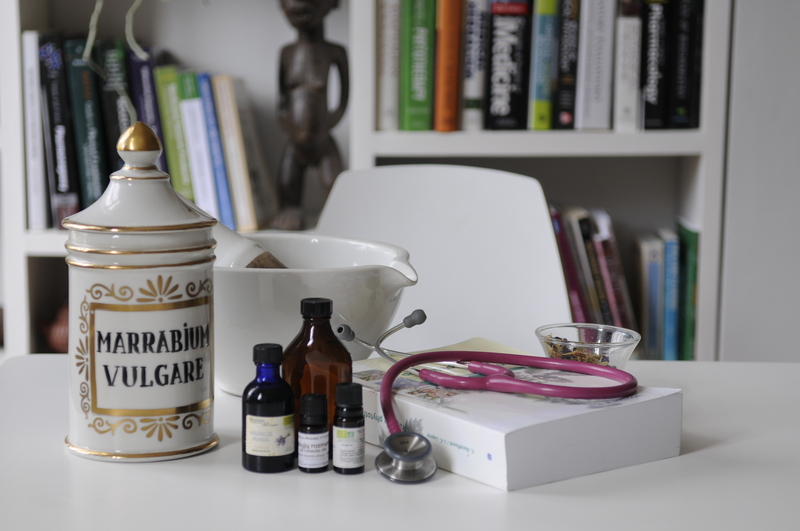 On average medicines (in tincture form) cost 13£/100 mls (variations depend on plants and forms of medicines used) and one would generally expect to require 400 mls per month of treatment at “normal” doses. Herbal teas are charged at £10/100g. I charge a £10 dispensary fee for making repeat prescriptions when there is no consultation. At the present time I only accept cash, cheque or advance payment via bank transfer. All consultations are scheduled by appointment only and according to their estimated duration. Arriving late deprives you of your reserved time and could result in the rescheduling of your appointment. Should you be delayed for your appointment please let us know. Please bring with you a list of all medicines (conventional and other and including contraceptive pills) and supplements you are currently taking as well as photocopies of any medical or diagnostic tests from your GP, hospital, or any other health practitioner (if you have them). For further information on Herbal Medicine, please see the FAQ section by clicking on the button or going to the FAQ page.